I love playing tour guide. I’m not saying I’m great at it, but I really enjoy it. Five weeks ago, my department got a Masters level fellow who is working with us for the summer. Being the kind, welcoming souls that we are another coworker and I started taking her to the finest spots in Wilmington…of the drinking variety. Wilmington may be small but it does not lack for watering holes. The first stop on the list happened on a sunny day with relatively low humidity so I took us to a place we could sit outside. 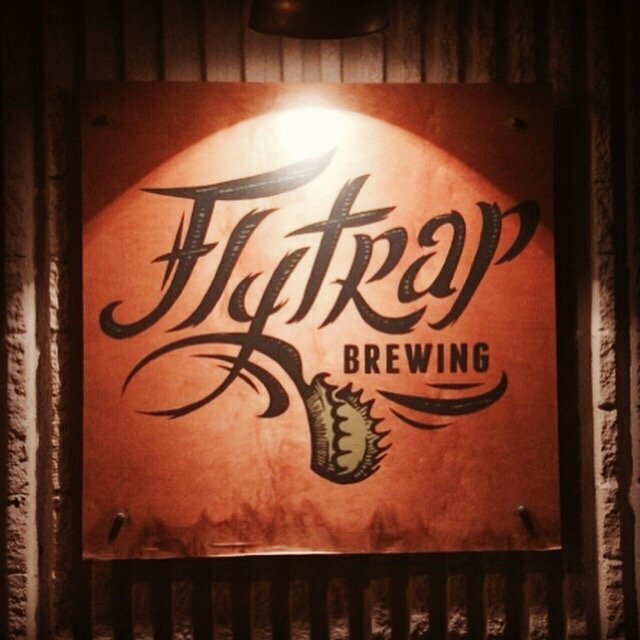 Flytrap Brewing uses its parking lot for picnic tables rather than parking as well as for food trucks a few nights a week. We sipped on the Hoppy Tripel (delicious but if your last meal was a few hours ago… one is enough), Gose (tasty with a tiny tinge of sour) and the Saison (new to me and I’ll be back for more!). Flytrap is hard to beat. The service is always excellent with patient, well-versed bartenders and the atmosphere is simple and welcoming. The artwork is always fresh and different and the beer is too. 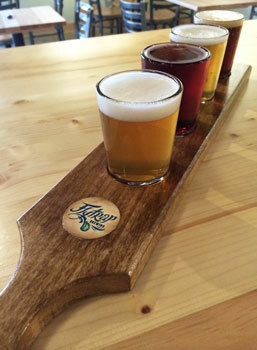 If you’re new to Flytrap try a $5 beer flight on Tuesdays.